Karmarama Stories: Hello again. It's been ages! Hello again. It's been ages! 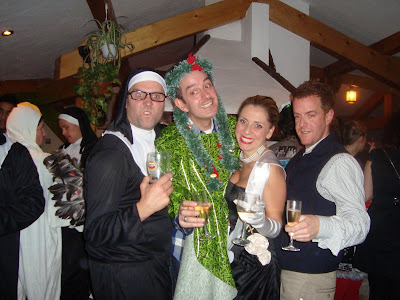 So the Christmas party was over two and a half months ago and as the saying goes what goes on in Morzine stays in Morzine. However, when hunting for an old presentation today on the effectiveness of using small dressed up animals in deodorant advertising I came across the pictures on the server. They're brilliant so stay tuned.